At the eleventh hour, Sears has found someone to keep 400 of the company’s stores open and the lights on. On Wednesday, Eddie Lampert, the chairman of Sears Holdings, struck a $5 billion deal to save the 126-year-old chain. The deal was struck after days of closed door push-and-pull over the number of jobs that would be saved, how Sears’ creditors would be paid, and what components -- like Sears Home Services -- would be kept alive. As late as Tuesday night, the bid from Lampert’s hedge fund, ESL Investments, seemed doomed. Bloomberg News reported that people familiar with the situation said that the $5 billion final bid was $150 million over its previous offer. Who is this Lampert fellow? Lampert is well-known around Sears. The billionaire constructed Kmart’s $11 billion acquisition of Sears back in 2005 and, through his ESL hedge fund, is Sears’ largest shareholder. According to the Chicago Tribune, he’s provided Sears with more than $2.4 billion in loans and other financing over the last few years. Previously, Lampert was a director at AutoNation and AutoZone. Can Sears compete in the digital world? Sears, Toys “R” Us, and other big box stores have felt the pinch of consumers moving toward online shopping. Now that it has a reprieve, Sears is faced with the task of re-inventing its business model like WalMart and Target have to make themselves viable. Sears, under Lampert’s direction, was actually an early adopter of online shopping. 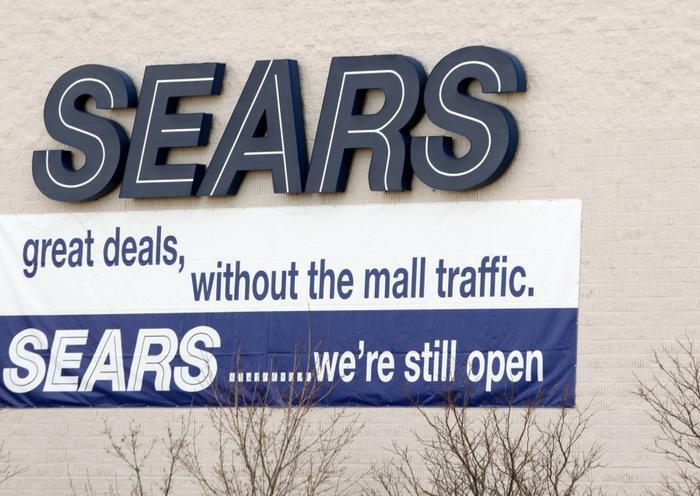 In his 2011 shareholder’s letter, he bragged that Sears Holdings was named “Overall Best-in-Class" for its mobile efforts and ranked second for its online consumer experience, even going as far as comparing Sears’ strategy to Microsoft and Apple. However, Lampert’s best laid plans for online prosperity didn’t succeed. Left with few choices, he opted to shave off $1 billion in expenses by selling off Craftsman tools and spinning off Land’s End. He also put a lot of the company’s retail footprints up on the real estate market in hopes of companies like Whole Foods taking over the left-behind space. Still, some say the company has a lot more to pare down.